www.HintleshamWarMemorial.com launched in 2013 and has received thousands of visitors from all around the world. Whatever your reason for being here, you are very welcome. Feel free to comment, correct or contribute to the site. Thanks for visiting and I look forward to hearing from you. If you would like a free pdf version of the site which you can print out, email me and I'll send you a link. 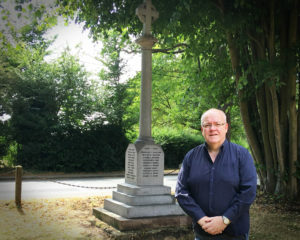 Gerald Main is a broadcaster and media consultant living in Suffolk. His other websites include www.GeraldMain.com and http://www.mytalkingphotos.com. 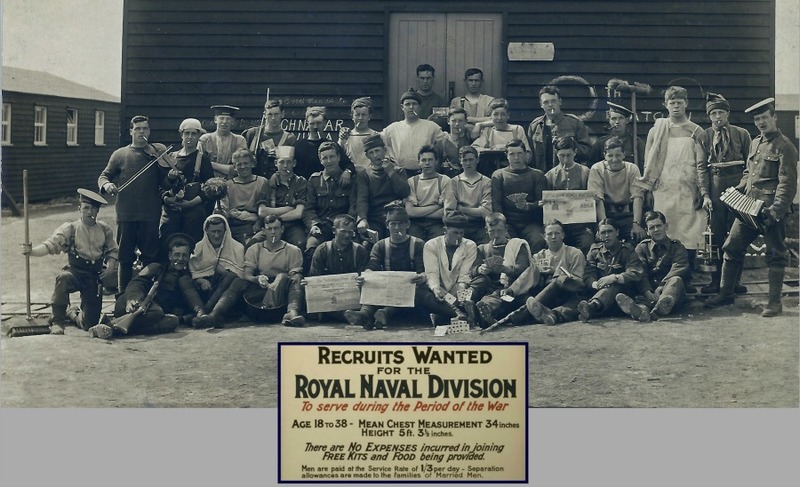 This site is dedicated to Able Seaman Peter Tester Main, 63rd Royal Naval Division. Also to his friend “Willy,” who rescued his badly wounded pal, my grandfather, from no-man’s land in Gallipoli in 1915. It is also in memory of Sir Peter Main ERD who served with the RAMC. In 1956 he was the Medical Officer of a Field Ambulance, attached to Commando Brigade, in Suez. Royal Naval Division training in 1915. AB Seaman Peter Main is pictured holding a basin, third from the left on the front row.